Five articles describing testing strategies that range from useful to essential for agile and DevOps professionals. Agile Testing, which checks for bugs and performance bottlenecks within the Agile workflow, has different approaches and strategies. Agile testing includes participation by many members of different IT teams, with special expertise contributed by testers. The overall goal is to ensure the quality of the product, while keeping pace with rapid development and releases. There has been a lot written about Agile testing, and the related concepts of continuous testing and continuous quality. I recently came across some articles and blog posts that present a nice introduction to the topic of Agile Testing, and some of the challenges and strategies surrounding it. You’ll want to read these, as they provide valuable analysis and insight. So with that said, let me list a few good ones. 1. Agile Testing Vs Traditional QA - This is an older post, but serves as a good introduction into some of the distinguishing characteristics of Agile testing. Venkatesh Krishnamurthy is a Senior Technology Architect and Agile Mentor who shares some of the challenges of traditional quality assurance and benefits of testing in Agile, including ongoing feedback to developers and early identification of testing challenges and roadblocks, making it easier to overcome them. 3. Overcoming Test Automation Challenges - Lisa Crispin argues that testers need technical awareness to collaborate effectively with all their team members, but software delivery teams already should have expert coders. She writes about some of the challenges of automation, including determining proper responsibility for automating, lack of time, and complexity of environments that make automation challenging. 4. 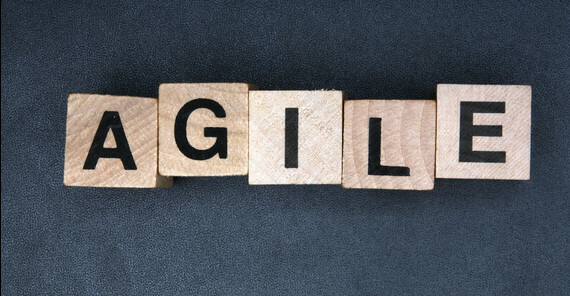 How to Overcome Agile Testing Challenges - Amir Ghahrai, on his informative blog Testing Excellence, lists some of the most common testing challenges for QA in Agile projects and how to overcome them. One point that I identified strongly with was to “start creating tests (automated or manual) as soon as possible so that when the feature is available for testing you can begin straight away.” Make sure to also check out 12 Qualities of a Good Agile Leader. 5. The Keys To Mobile Test Automation That Works - Eran Kinsbruner of Perfecto Mobile reveals some “must-haves” for building a continuous, unattended mobile test automation strategy that provides immediate feedback to its Dev/QA teams - including that integration of different platforms is critical for cross-team collaboration. Published at DZone with permission of Jason Silberman . See the original article here.